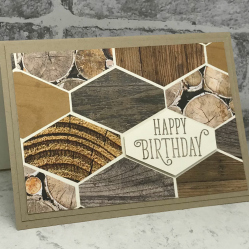 Discover how easy it is to create stylish and amazing cards with patterned or designer paper. The paper is sold in packs or blocks of matching designs or themes. Most are double sided with coordinated colours and patterns. By allowing the paper do the work you are saving stacks of time as it's so quick and easy to put your cards together. You don't have to be an expert - so perfect for beginners! 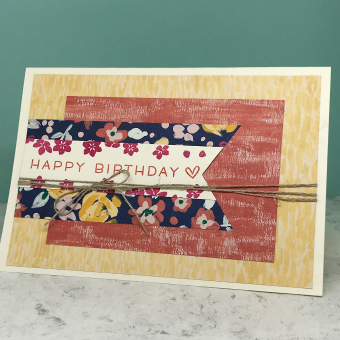 Use your patterned paper to create a background layer to your card base (either layer one or layer two). Easy to create yet simply elegant! 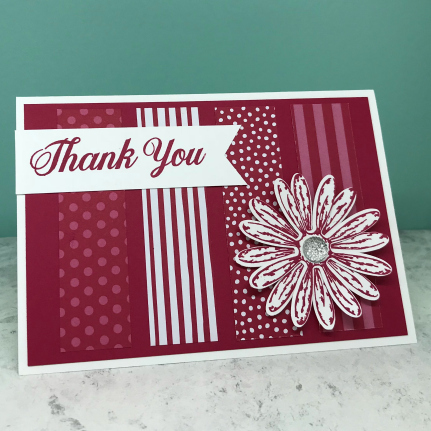 Add a stamped sentiment on a a strip of card or punched shape such as a circle or oval. Alternatively cut a word die in a contrasting colour and stick over the patterned paper. 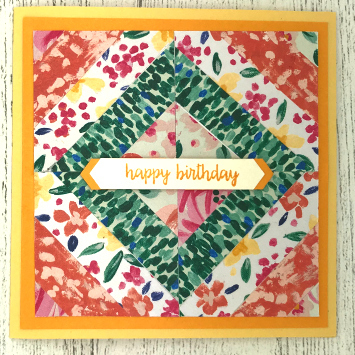 Add strips or blocks of patterned paper horizontally or vertically across your card. Vary from one simple strip to two or three for a more dramatic effect. Either use the same patterned design or mix designs for a more unusual look. If combining patterned paper use designs from the same pack so everything coordinates. This is when a sheet of 12" x 12" patterned paper is divided into multiple parts. One sheet will be divided up to make many cards. If you search on Goggle or Pinterest "One Sheet Wonder" you will see lots of options on how to divide your paper. These Daisy cards were created with a one sheet wonder. Patterned paper makes great banners. Either cut with scissors or use a banner punch. If combining different sized banners together you can mix and match your patterns. Use different sized patterns so they aren't competing with each other. Keep all your left over bits of patterned paper in a scrap box so they are ready to add to your cards. 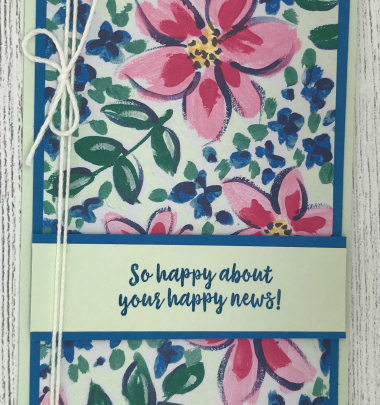 Add a small strip of patterned paper underneath a sentiment to make it stand out. Punch shapes to use as embellishments. For example flowers, balloons, stars, hearts. Decorate envelope flaps or bookmarks. 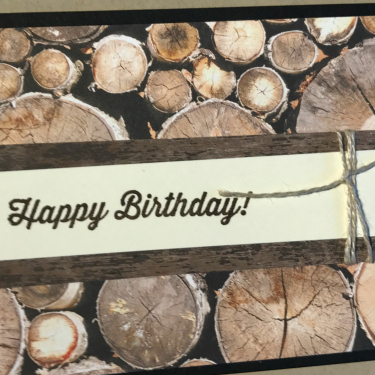 Add strips to decorate the inside of your cards. Make confetti with small punches for shaker cards. Shapes punched from scraps of Wood Textures designer paper. Working with patterned or designer paper is so satisfying as it produces amazing results for so little effort. If you haven't used patterned paper before buy a pack and try out some of these ideas. I guarantee you'll fall in love with them!